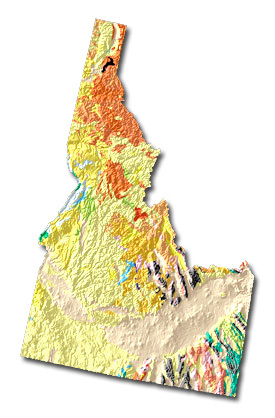 Idaho geology and topography map courtesy of USGS: A Tapestry of Time and Terrain. The waters of Snake River rush through Hells Canyon, the deepest canyon in the United States. Shoshone Falls plunges down rugged cliffs from a height greater than that of Niagara Falls. The mountains of Idaho contain veins of gold, silver, lead, zinc, cobalt, copper, and many other rare minerals. Among these rare minerals are gems - star garnets (Idaho's state gem), jasper, opal, jade, topaz, zircon, and tourmaline. 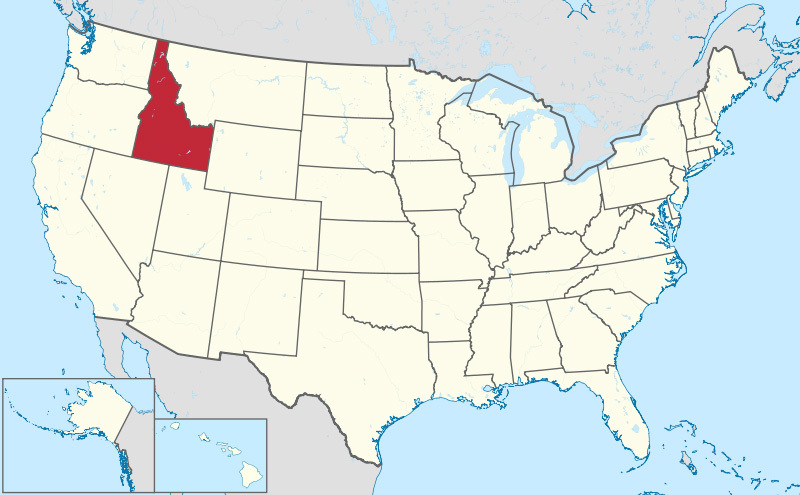 State of Idaho, USA (image by TUBS on Wikipedia (use permitted with attribution / share alike).